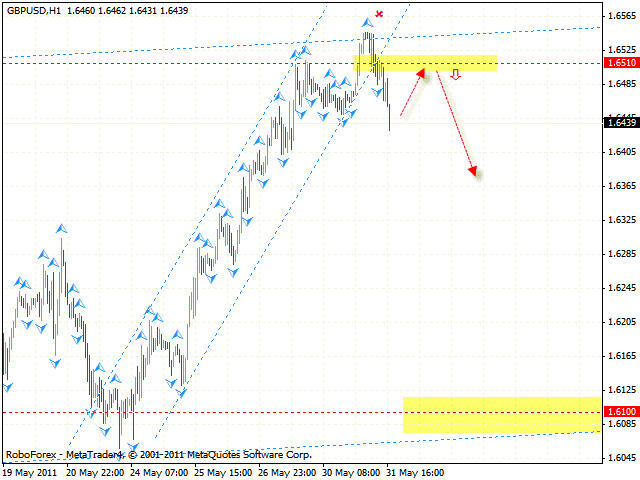 At the moment there is still some potential for the pair to fall into the area of 1.4135. 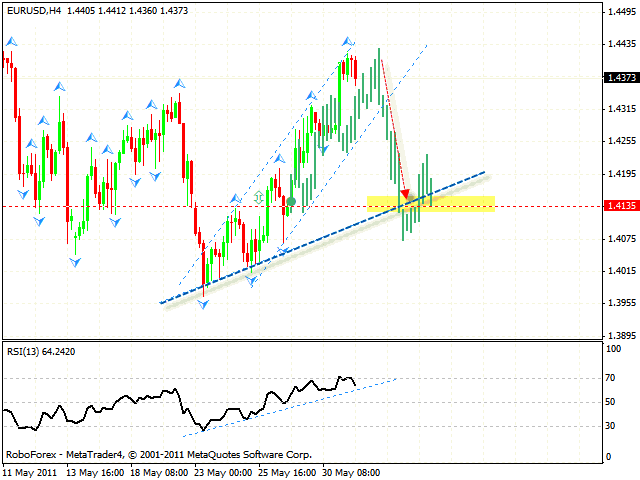 After the price breaks the trend line at the RSI, one can consider opening short positions on the pair. And after the price breaks the channel’s lower border and leaves it, one can try to increase the amount of short positions. The stop must be above 1.4430. 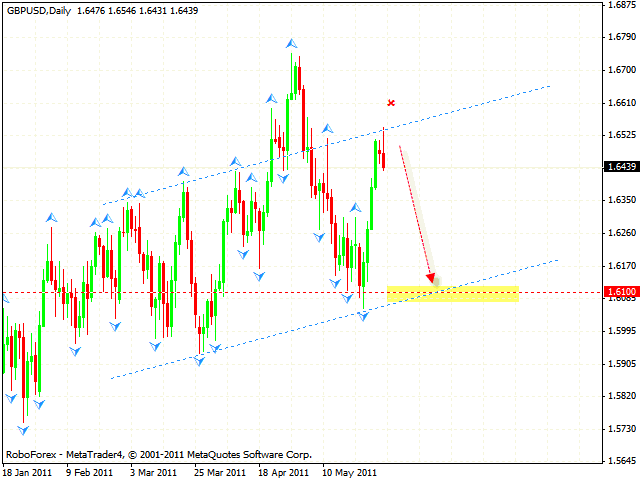 At the M30 chart we have “head & shoulders” reversal pattern with the target in the area of 1.4318. One can try to sell Euro at current prices with the stop above 1.4415. Don’t forget to move stop into the black as soon as possible. Pound is moving inside the reversal pattern. At the moment we should expect the price to move downwards into the area of 1.6100. 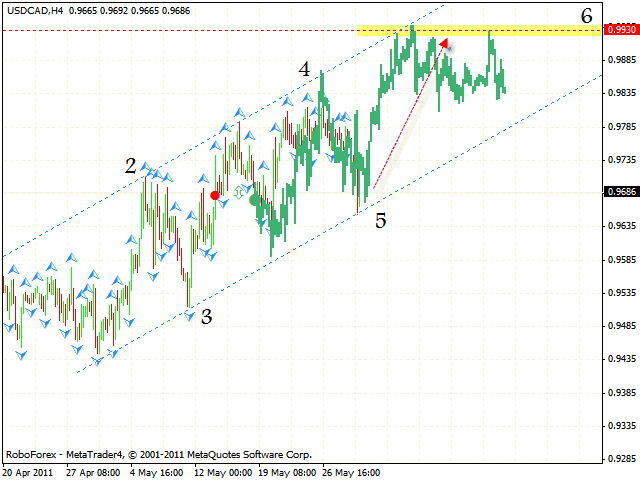 One can try to sell the pair with the stop above 1.6550. At the hourly chart the price has left the rising channel. One can try to sell the pair at the level of 1.6510. 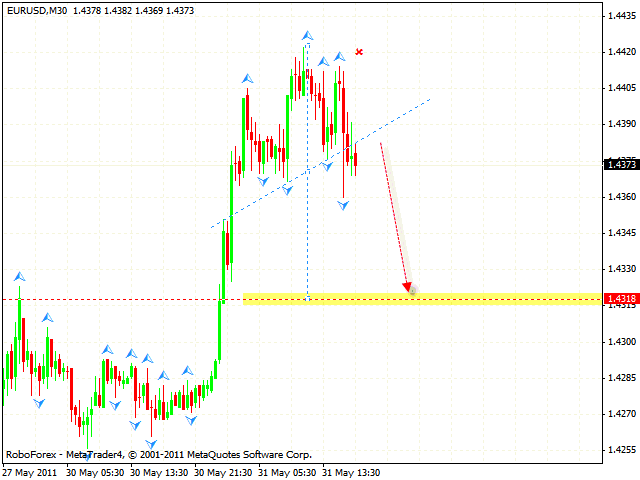 If the price is back to this level, one can consider selling the pair with the stop above 1.6550. Franc is moving inside the descending pattern. 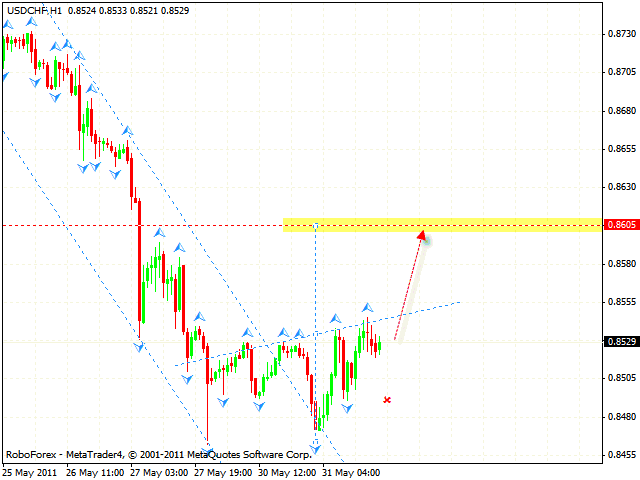 Currently we have “head & shoulders” reversal pattern forming with the target in the area of 0.8605. One can try to buy the USD/CHF currency pair with the stop below 0.8480 and consider increasing the amount of long positions only after the price breaks the neckline. Canadian Dollar keeps moving inside the rising pattern with the target in the area of 0.9930. At the moment the USD/CAD currency pair is testing the rising channel’s lower border, where we can try to buy it with the tight stop. But if the price breaks the channel’s lower border and leaves it, this case scenario will be cancelled.